President Marie-Louise Coleiro Preca addressing the conference today. Only registered NGOs may benefit from Malta Community Chest Fund money from next year, the President said. During a news conference, the names of 38 chosen NGOs eligible for funding were unveiled to enable them to carry out their social projects. 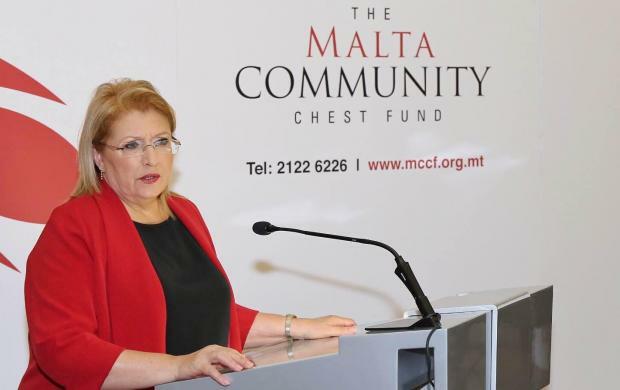 President Marie-Louise Coleiro Preca said that in agreement with the bishops, it had been decided that this would be the last year where applications from unregistered companies are accepted. She stressed that her office had worked to ensure the process is more accountable and transparent.